John Harbell runs a small consulting company providing toxicology/product safety support for cosmetic and personal care companies. He is also an adjunct professor in the Department of Dermatology at University of Texas, Southwestern Medical School. Before starting his own company, he was a Principal Scientist with the Product Safety Department of Mary Kay, Inc. He focused on the ingredient safety [toxicology] programs. In particular, he worked to incorporate in vitro methods for the prediction of topical toxicity and dermal sensitization into the preclinical safety program. Previous to that, he served as Vice President and Chief Scientific Officer for the Institute for In Vitro Sciences (IIVS) where he directed laboratory operations and developed in vitro testing methodologies. He managed multi-laboratory, GLP compliant assay validation programs intended for submission to regulatory authorities in the United States and Europe. 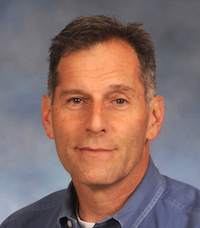 John obtained his PhD from the University of California at Santa Cruz and served for eight years in the Army clinical research program before joining Microbiological Associates as a study director in genetic toxicology. In 1997, he became a cofounder of IIVS. He has also served as an invited expert on national (ICCVAM, NCI, and USEPA) and European (ECVAM and COLIPA) expert panels. John has been actively involved with SIVB since graduate school. He has served on the Board of Directors (2000-2002, 2004-2008, 2016-2018), President- Elect (2016-2018), Vice President (1993-1994, 2006-2008), Vertebrate Section Chair (1996-1998), Cellular Toxicology Section Chair (1998-2000), and as Associate Editor of In Vitro Cellular and Developmental Biology – Animal, from 2006 to the present. He was Program Cchair for the 2015 annual meeting. 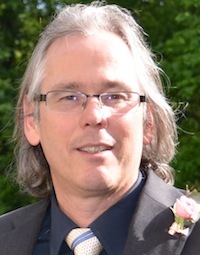 Allan Wenck is Head of Trait Validation (US) for Bayer CropSciences. He received a B.A. degree in Biology and Environmental Studies (1985) from Warren Wilson College. He continued his studies at the University of Tennessee (Knoxville) in the lab of Dr. Bob Conger. He was awarded a M.S. degree in Life Sciences (with a focus on Plant Physiology and Genetics) for his work on endogenous auxin and cytokinin levels and their influence on the embryogenic response of Orchardgrass cultivars in tissue culture (1988). He worked for 3 years at Clemson University’s Edisto Research and Education Center doing field based research primarily on insect pests in cotton and soybean. He received his PhD in Biological Sciences (with a focus on Molecular, Cellular and Developmental Biology) from the University of South Carolina (Columbia) in 1997. Allan went on to conduct postdoctoral research at North Carolina State University. He developed an Agrobacterium based system for transformation of Norway Spruce and Loblolly Pine embryogenic suspension cultures in the lab of Ron Sederoff and Ross Whetten. He joined Novartis (later Syngenta) where he worked on monocot transformation (corn, wheat, barley and rice). He later moved to BASF Plant Science where he worked on corn transformation. He also spent two years in Melbourne, Australia working on wheat transformation as part of a collaboration. He then moved to Bayer Crop Science where he was head of the Cell Biology group at the Morrisville Innovation Center prior to his promotion to his current position. Allan received his J.D. degree from the North Carolina Central University School of Law Evening Program (2013) while continuing his work at Bayer. 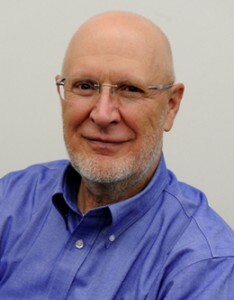 Allan has authored many articles and book chapters on transformation and cell biology. He has been an active reviewer for In Vitro – Plant, Plant Cell Reports, Plant Cell Tissue and Organ Culture and various other journals. He has been a very active member of the Society for In Vitro biology and was Program Chair for the plant section in 2005. He has convened numerous sessions in the plant section over the past 20 years. He was Vice President for the Society from 2014-2016 and has won both the Society Distinguished Service Award (2016) and Distinguished Scientist Award (2017). 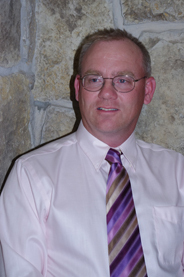 Over the years, Allan has helped efforts to raise over $150,000 for the Society as Section Chair and Vice President. 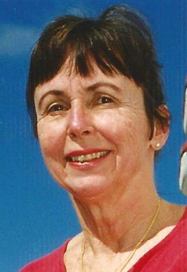 Barbara B. Doonan is a biochemist with extensive industrial and academic experience in Toxicology and Biotechnology. Upon retirement as Principal Scientist at UST, enjoying a new freedom to pursue interests in the fields of Molecular Biology and Biochemistry, Barbara assumed a voluntary position at New York Medical College in Valhalla, NY as a Research Fellow collaborating with Dr. Joseph Wu, Vice Chairman and Graduate Program Director. Research interests focus on phytochemicals and chronic disease. At UST since 1989, her broad background and expertise in toxicology, biochemistry, and molecular biology were applied to address company interests in areas such as wine, smokeless tobacco and health. Prior to joining UST, she was a visiting scientist at Cold Spring Harbor researching cell cycle control in the adenovirus E1A system utilizing recombinant technologies. Her career in industry initiated in 1979 at General Foods Corporation (GF). As a Research Scientist in the GF Nutrition and Health division, she directed preclinical animal toxicology GLP studies, pharmacokinetic and metabolism studies to elucidate mechanisms of action and studies designed to determine carcinogenic and mutagenic potential of various compounds e.g. halogenated hydrocarbons. Many projects supported GF’s domestic and international coffee businesses. Her in-depth knowledge of the coffee crop was well utilized by GF Biotechnology Programs to direct studies applying cell culture and microbial fermentation technologies for production of natural compounds. Both toxicological and biotechnology programs entailed responsibilities involving various government regulatory agencies e.g. FDA and USDA for compliance with existing regulations and in the development of regulations for successful genetic manipulations.In addition to teaching duties while a graduate student, after receiving her doctoral degree from CUNY, Dr. Doonan taught General Biology, Human Anatomy and Physiology, and Electron Microscopy and mentored undergraduate research projects at William Paterson College in Wayne, NJ. Sukhpreet Sandhu received a B.S. degree (1999) from Panjab Universiy, India and M.S. degree in Biochemistry (2002) from Punjab Agricultural University, India. She moved to the USA to pursue further graduate studies at University of Florida. Her dissertation work on genetic transformation and risk assessment of transgenes in an apomictic crop led to four publications. 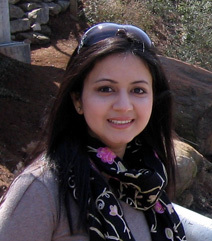 Immediately after her graduation in 2008, Sukhpreet ventured into quantitative genetics for her post-doctoral work at University of Georgia. During this time, she worked on elucidation of genes involved in high biomass production in wild sunflower. In 2010, Sukhpreet joined Bayer CropScience Vegetable Seeds as a Cell Biology Scientist. Here she has developed a strong portfolio for Cell Biology technologies in vegetable crops including tomato, onion and melon. Sukhpreet is currently heading the Vegetable Seeds Cell Biology Department at Bayer. She has also been an active member of the society since 2008. She has contributed to the society in many roles as a volunteer, has coordinated student oral competitions (2010-2012) and also served on the Plant Biotechnology Section program committee (2012-2015). In 2016, Sukhpreet was elected as Vice-President, SIVB. She received the Young Scientist Award by SIVB in 2017. Harold Trick received his BS in Biochemistry and his MA in Biology from the SUNY- Binghamton. His master’s thesis focused on ultrastructure and cytochemistry of red algae. He received his PhD in Biology at Florida State University exploring methods to create asymmetric hybrids between two tobacco species. His post-doctoral research on soybean tissue culture and genetic engineering was performed at The Ohio State University. In 1998, he joined the faculty of Plant Pathology department at Kansas State University and formed the KSU Plant Transformation Facility. Current research emphases are related to plant protection and enhancing abiotic stress tolerances in wheat, soybean and corn. He is actively engaged in graduate and postdoctoral training and teaches an undergraduate/graduate course in Biotechnology. 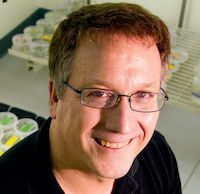 He has been a member in SIVB since 1994 and has been active on numerous SIVB duties including the Plant Program Committee, Associate Editor for In Vitro Cellular and Developmental Biology – Plant, former chair of the Plant Biotechnology Section, and Program Chair for the 2016 World Congress. In 2016, he became the Secretary of the Society. In addition to duties with SIVB and he is the Cair of KSU’s Institutional Biosafety Committee and has served on a number of grant review panels for USDA and SBIR. Dwight received a BS degree in Agriculture and Biology from Western Kentucky University and PhD Degree from the U. of Kentucky (1968 and 1975 respectively). His first professional position was as an Assistant and Associate Professor at the U. of Guelph from 1975 to 1982 where research in plant breeding methodology, clonal propagation, and plant regeneration technology was investigated in Lotus corniculatus. He attended his first meetings of the Tissue Culture Association (predecessor of the SIVB) during this time. The major portion of his scientific career has been at Pioneer, a DuPont business, in various research and administrative roles in tissue culture related research including developing some of the first toti-potent cell and tissue cultures of corn using elite genetics. These experiments set the tone for developing practical large-scale genetic transformation in several crop species including alfalfa, sunflower, sorghum, and corn. His research interests have focused both in transformation technology development and developing transgenic traits in agronomic crops—primarily corn. The transformation technology developed using particle bombardment of intact cells from 1986 through 1990 is still being used in corn, soybeans and other species and has become a standard technique for transient and stable transformation. He includes improving animal digestibility of corn (relevant to biofuel processing), flavor improvement in vegetables, efficient nutrient use in corn, and modifying adaptation of corn to different environments among his most important accomplishments. He served SIVB in different senior positions on the board including President, Vice President, and Member-at-Large, and has been active on the program committee at several different times over the years. He became involved with the early stages of our plant tissue culture journal primarily because Gordon Sato, a founder of the TCA, mentored and encouraged him to do so. He was the Editor-in-Chief of In Vitro Cellular and Developmental Biology – Plant from 2008 through early 2011. Kan Wang graduated with her BS in Biochemistry from Fudan University in Shanghai, China. She was sponsored first by the Chinese government then by the Rockefeller Foundation to conduct graduate study under the supervision of Drs. Marc Van Montagu (2013 World Food Prize Laureate) and late Jeff Schell in Ghent University, Ghent, Belgium. Her PhD study and postdoctoral research were focused on the molecular mechanisms of the T-DNA transfer from Agrobacterium tumefaciens to plant cells. She is regarded as one of the pioneers in understanding the mechanism of DNA transfer from Agrobacterium to plants (Wang et al., Cell, 1984; Science 1987), a fundamental knowledge that became the corner stone for building of tools for plant genetic transformation. Dr. Wang spent 7 years in ICI seeds (now Syngenta) as a project leader in genetic transformation of corn and soybean. 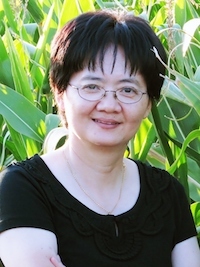 Dr. Wang joined Iowa State University Agronomy Department in December of 1995 as the director of the newly established Plant Transformation Facility (PTF). She was then promoted to a tenured associate professor in 2002, professor in 2006, and Global professor of Biotechnology in 2015. She serves as Director for Center for Plant Transformation and Co-Director of Crop Bioengineering Center. Dr. Wang’s current research interests include exploring novel plant genetic transformation and genome editing technologies, investigating off-target activities of CRISPR/Cas9 and understanding of functions of small non-coding RNAs of Agrobacterium. John Finer is a Professor in the Department of Horticulture and Crop Science at The Ohio State University. He has worked in tissue culture and transformation for the past 35 years and has been a member in the Society for the same amount of time. His research is now focused on identification and validation of promoter function, using GFP and automated image collection and analysis.John Finer received his MS and PhD in Plant Physiology from Texas A&M University, working on cotton tissue culture under the direction of Roberta Smith. From 1984-1986, he was a postdoctoral fellow with Ciba-Geigy Biotechnology (now Syngenta) working on cotton transformation and regeneration. At Ohio State, he developed regeneration systems for soybean, sunflower, maize, wheat, garlic, Chinese yam, white pine and Ohio buckeye. 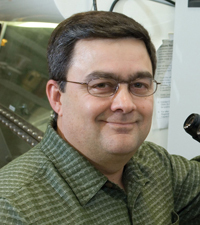 In 1992, he reported his research on development of the Particle Inflow Gun (PIG), a low cost particle bombardment device, which is still in widespread use. In 1997, his laboratory reported Sonication Assisted Agrobacterium-mediated Transformation (SAAT), which also remains in widespread use today and is one of the technologies behind the transgenic soybeans that are in most farmer’s fields today. Over the past 10 years, research efforts in the Finer Laboratory have shifted to promoter analysis with emphasis on isolation and validation of soybean promoters, along with their contributing elements and introns. The laboratory has cloned over 150 different soybean promoters, identified a number of new regulatory elements, and refined an automated image collection and analysis system for promoter studies. Michael has over 25 years’ experience in in vitro guided research. His current research examines colon stem cell characterization, epithelial cell differentiation, and growth control using a sophisticated 3-D colonic organoid culture model of both normal, adenomatous, and cancer tissues. The human colonoid model is being used as a platform to study a wide array of colon biology topics: the progression of colon neoplasia initiation/development, colon tight junction permeability, and the preclinical assessment of potential cancer risk reductive agents. He was recently appointed Associate Director of a new initiative at the University of Michigan Medical School, the Translational Tissue Modeling Laboratory (TTML). The laboratory, founded by Jason Spence, PhD, has as its mission the goal of enabling the research community to implement a diverse range of in vitro grown primary human tissues for discovery-based research, as well as personalized and regenerative medicine. Michael has 48 peer-reviewed publications and a book chapter, Human Colon Tissue in Organ Culture, In Davies J (Ed. ), of the University of Edinburgh, Replacing animal models: a practical guide to creating and using biomimetic alternatives. He received his bachelor of science in 1983 from the University of Michigan and continued to Morocco as a marine fisheries advisor for Peace Corps, and to Antigua as an aquaculture specialist as part of a joint Peace Corps/Smithsonian Mariculture Project. He was the first recipient of Duke Marine Laboratory C.G. Bookhout Scholarship as well as the Bermuda Biological Station Scholarship. He is currently a member of the Society for In Vitro Biology and the American Association for Cancer Research. Support in part for his research has come from the NCI P50 CA130810 GI SPORE (Gastrointestinal Specialized Program of Research Excellence), NCI P30 CA046592-26S3 (Organoid Culture and Genetic Characterization of Colon Crypts, Adenoma and Adenocarcinoma), NIH R21 CA181855 (Isolation and in vitro maintenance of intact colonic crypts from normal human colon), Association for International Cancer Research (AICR; 2011-13; Dietary Trace Metals and Colon Cancer Prevention), and the National Cancer Institute (NIH HHS R21 CA140760; Dietary Marine Algae in Colon Cancer Chemoprevention). Brad is an Associate Professor in the Department of Pediatrics & Human Development and the Center of Integrative Toxicology at Michigan State University. 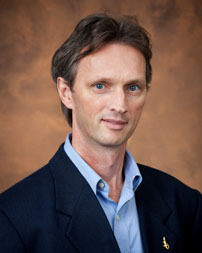 His laboratory conducts basic cell biology experiments determining the underlying signaling mechanisms involved in epigenetic responses of mammalian cells to environmental contaminants, oxidative stress and oncogenes, and how chemopreventive agents from natural products interact with these signaling pathways in preventing or reversing the tumor promoting effects of environmental toxicants and oncogenes. Advanced proteomic, lipidomic and transcriptomic approaches are being used to map out these novel signaling pathways. He has received federal grants to support his research program at Michigan State University, and has mentored a number of post-doctoral fellows and undergraduate students, and trained numerous international scholars. He is currently the principle investigator for the “Research Translation Core” and co-investigator of the “Community Engagement Core” for the Michigan State University – Superfund Research Program Center. Professional activities include serving as councilor and president Michigan chapter of the Society of Toxicology (MISOT), Chair and Co-chair positions in the “In Vitro Animal Cell Science (IVACS)” section of the Society of In Vitro Biology (SIVB). He has received a Distinguished Service Award for outstanding contributions to the SIVB. He serves on the editorial boards of the “Journal of Toxicology” and “BioMed Research International” and has served on several study sections for National Institute of Environmental Health. He has authored 60 peer-reviewed scientific journal articles, 148 abstracts, and one US patent. 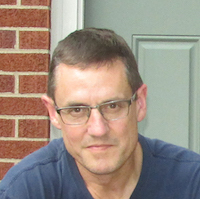 Michael J. Fay received his BS degree in Microbiology from the University of Maine (Orono, ME) in 1987, and his PhD in Pharmacology from the University of Mississippi (Oxford, MS) in 1992. From 1992 to 1997, he was a Postdoctoral Fellow in the Endocrine Physiology Training Program at Dartmouth Medical School (Lebanon, NH). In 1997, he accepted an Assistant Professorship in the Department of Pharmacology at Midwestern University (Downers Grove, IL), and in 2002 he was promoted to Associate Professor with tenure. In addition to his academic appointment in the Pharmacology Department of the Medical School, in 2006, he was appointed as Director of the Biomedical Sciences Program at Midwestern University. As Program Director, he manages the lecture-based Master of Arts in Biomedical Sciences Program, and the research-based Master of Biomedical Sciences Program. In 2011, he was promoted to Professor at Midwestern University. As a Postdoctoral Fellow, he was the recipient of a NIH Institutional training grant postdoctoral fellowship, and an individual postdoctoral fellowship from the Department of Defense Breast Cancer Research Program. Since joining the faculty at Midwestern University, he has been the recipient of a Research Career Enhancement Award from the American Physiological Society and two R15 AREA grants from the National Cancer Institute. Michael’s current research interests include examining the expression and function of the Cullin-5 gene in both normal and cancer cells, and examining the role of microRNAs in cadmium toxicity. He has published 24 peer-reviewed research and educational articles. 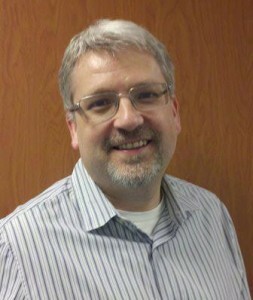 Michael has been a member of the Society for In Vitro Biology (SIVB) since 1991. His Leadership roles in the SIVB include serving a term as the Chair of the In Vitro Animal Cell Sciences (IVACS) Section, and as Secretary on the Board of Directors. In addition, he has served as Publications Chair, Co-Editor for the In Vitro Report, and as a member of the Publications Committee. Wayne Parrott received a degree in agronomy from the University of Kentucky, and MS and PhD degrees in Plant Breeding and Plant Genetics from the University of Wisconsin-Madison. 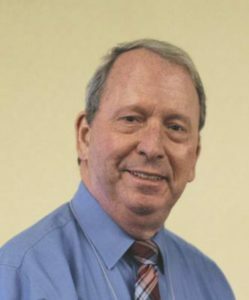 He joined the faculty at the University of Georgia in 1988. Since then he has been conducting research on the development, use and safety of transgenic (i.e., GM) crop plants, using grant monies from USDA-NIFA, NSF, DOE and the United Soybean Board. He has published a guide for environmental risk assessment of GMOs, along with ~ 110 journal articles in refereed publications and 14 book chapters. He has served as elected chair of the biotechnology section of the Crop Science Society of America and of the plant section of the Society for In Vitro Biology, and is a Fellow of both of these societies. He is actively engaged in training graduate students and postdoctoral fellows, and teaches graduate-level courses in genetics and undergraduate courses in agroecology and sustainable agriculture. He has traveled extensively throughout Latin America and other countries, and advised legislators and regulators in the various countries on the requisites for a functional regulatory system that ensures the safety of GM products. He volunteered for 6 years as a scientific advisor to the Biotechnology Committee of the International Life Sciences Institute, which served to bring the best science available to help guide those who formulate regulatory policies. Fredy Altpeter received his farm manager degree in 1989 after completing course work and two years of practical experience on several farms and estates in southwest Germany. He obtained his Dipl. Ing. degree (MS equivalent) in Crop Science from University Stuttgart-Hohenheim, Germany in 1990. He obtained his PhD degree in 1994 from the University Stuttgart-Hohenheim under the direction of Ulrich Posselt and Gerd Weber. His PhD research was on somatic embryogenesis and in vitro selection of perennial ryegrass. He continued to work on tissue culture and genetic transformation of cereals and grasses during his postdoctoral research at the University of Florida under Indra Vasil and as research group leader at the IPK Gatersleben in Germany. Fredy became an assistant professor at the University of Florida in 2001 and has been associate professor since 2008. During that time his research in grass biotechnology has continued with a focus on developing advanced genetic transformation protocols, translational genomics and genetic transformation for crop improvement, as well as risk assessment and risk management of transgenic crops. He is also responsible for two graduate level courses, “Molecular Genetics for Crop Improvement” and “Plant Molecular and Cellular Biology”. He served on the SIVB Board of Directors as a Member-at-Large from 2014 – 2018.